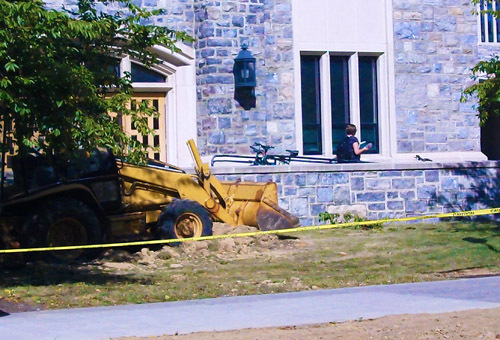 New Bike Racks Coming Soon! are being installed on campus. The goal is to make sure that all new bike parking is consistent with APBP guidelines, so that bikes have appropriate support and space while parked, cyclists have adequate locking options and bike parking locations are conveniently located near building entrances – or at least closer than the closest parking space for a car.These 17 racks will provide more than 230 new spaces for cyclists to park near academic buildings on campus. Some of these racks have been placed on existing concrete surfaces, but many of the new racks will require fresh concrete – so it’s taking a little bit of time to get all of them in place. When these new racks are in place, there will be more than 4000 bike parking spaces on campus. You can check out the VT news article on the racks and also see a PDF map showing the locations where bike racks have been (and will be) appearing this fall. 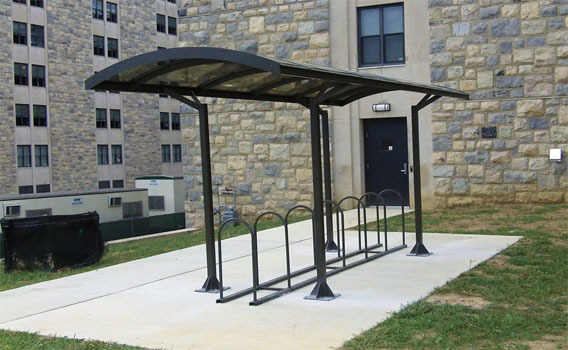 The new covered bike shelter being installed on the north side of Patton Hall has been funded by revenue from the Bike, Bus and Walk CAP permits. The rest of the bike racks have been funded by a grant awarded by Student Organization Sustainability Initiatives (“Green RFP”) and special projects funding from Facilities Services. If you don’t see a space at the closest rack, look at the next rack over. With more than 4000 parking spaces for bikes, there is probably a spot within 200 feet – and you’ll still be parking your bike closer to the building than you could legally park a car. 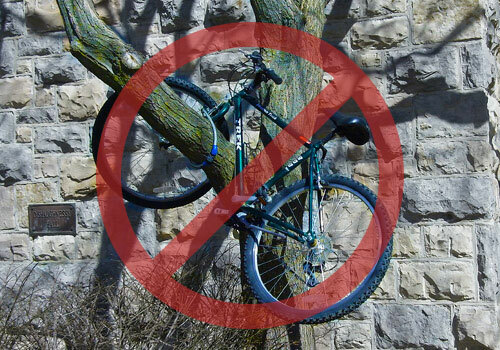 In case you need more instructions on how to properly park your bike, this video shows you how and features several local cyclists you might see every day on campus! Next on the “bike parking to-do list” is to repair some of the racks that could use a little TLC, move sparsely used racks to better locations and continue to identify ways to improve the bike parking crunch that persists in some areas on campus. 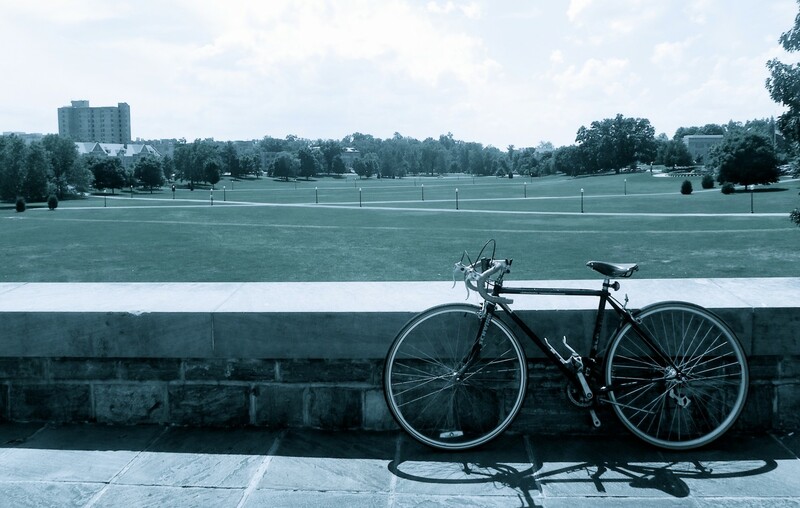 Throughout the year there will be additional improvements to bike facilities on campus, so please keep riding your bike on campus!Happy Parking! ← Get Your Commute Started (or Recharged)!